← Onda V975w: It Crashes A Lot? 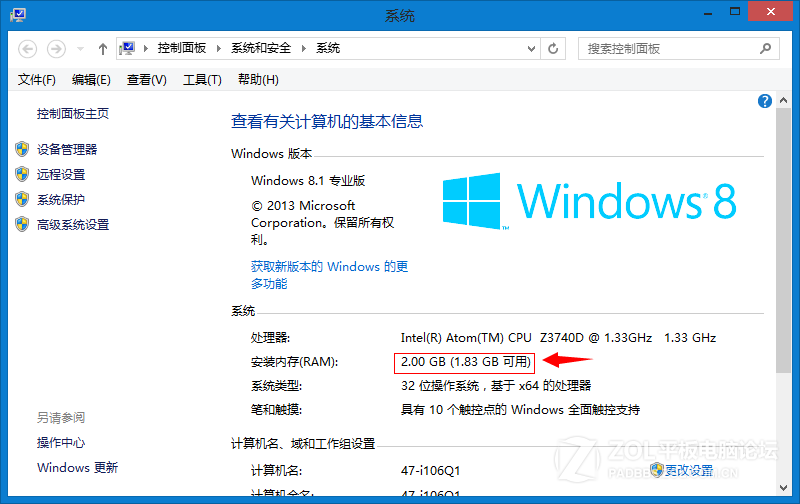 The graphics card of the Onda V975w — as well as Teclast X98 3G, Teclast X98 Air, and Windows tablets coming out of China from Ramos, Colorfly, Pipo, and others — shares a part of the internal memory. 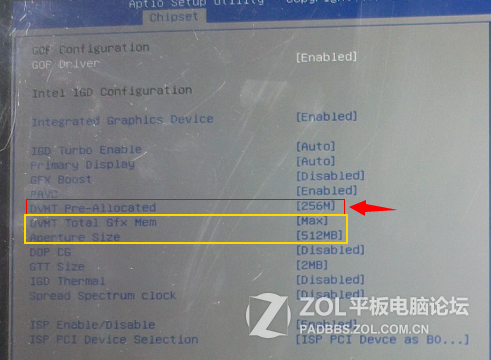 On tablets with 2GBs of RAM, 512MBs are allocated for graphics. For those users who don’t plan to run large games, that allocation is a waste and could lead to situations where the tablet crashes due to insufficient RAM. The following instructions to recover more RAM for programs was adapted from a post at ZOL [Google Translate]. 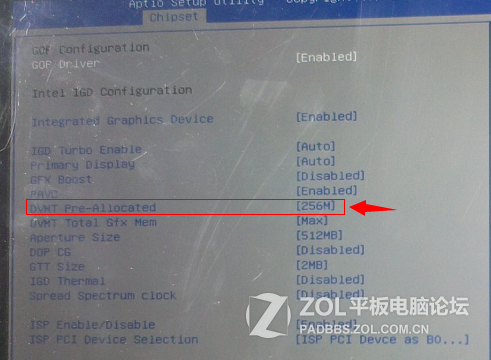 Anyone in the market for a Windows tablet from China would do well to Bookmark this post for future reference. Before making any changes, read the entire post first. This post is an adaptation of another one and I assume no responsibility for tablets that are bricked. By default, 512MBs of RAM is assigned to the graphics card. But for those who won’t be playing large, intensive games, this is a waste of tight RAM. The BIOS can be modified to adjust the size of the memory allocated to the graphics card. 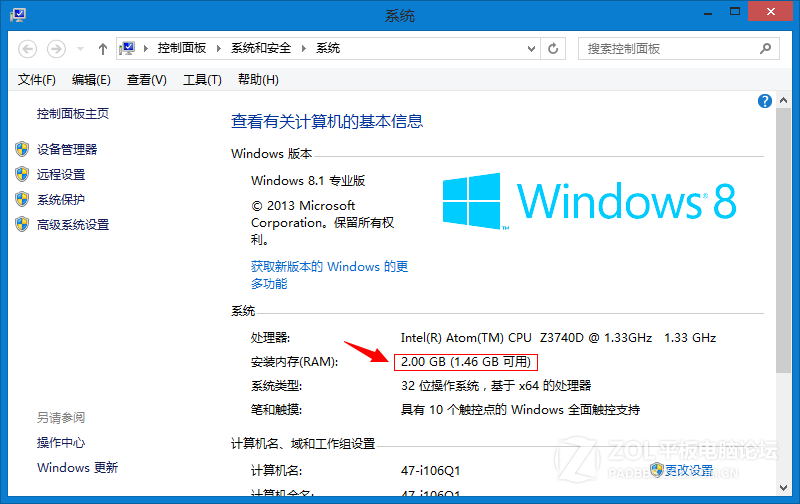 Of the 2GBs of RAM, only 1.46 are free. The goal is to increase the available free RAM. 1) Attach a keyboard — one that has arrow keys and an ESCape key — to the USB port of the tablet using a USB OnTheGo cable. 7) Press the ESCape key to exit BIOS and be sure to Save the new setting. As several people are complaining about crashes with the Onda V975w (and converted to Windows V975i), this solution could end those problems. Onda V975w: It Crashes A Lot? Mike, which tablet with 7,9″ or 9.7″ is avaliable in stock with Retina and GPS? I don’t hold all these tablets in my head. You’re going to have to keep track of ones with GPS that interest you on your own. Only the Teclast X98 3G and Onda V975i have GPS, IIRC, and are available now. Neither tablet works with GPS with Win 8.1. Just a note that you can try to boot into BIOS using Esc + Caps Lock. Go over to http://www.techtablets.com There are other owners there. Again, the best place to go for help is http://techtablets.com which covers Chinese tablets in depth and has forums for owners to share info.